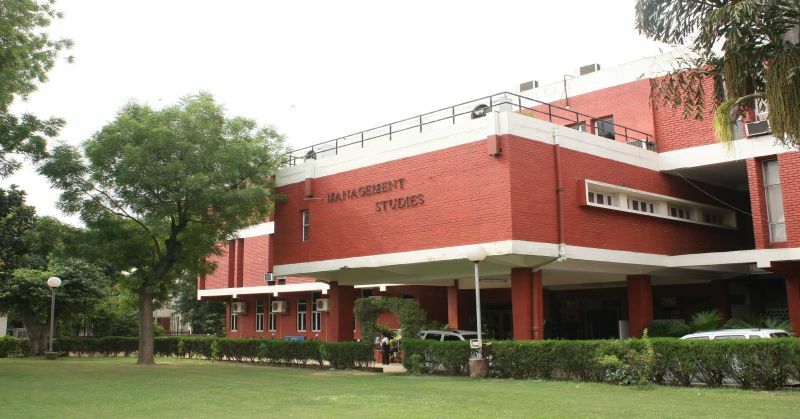 I belong to the Faculty of Management Studies, the Red building of dreams! Our campus is situated right in the centre of Delhi University, North Campus and in the heart of our historical city, Delhi. We have a small campus and relatively lesser batch size unlike many other colleges which have large campuses and higher intake. This factor makes us unique bringing all of us together and we represent ourselves as proud FMS family! The most interesting things which I like in FMS Delhi is that many of the teachers in the college started teaching here even before I was born and there are multiple of them here. This is something which we don’t get to see often in other places. Such is the love one develops for this place, college, environment and people. Once a person comes here it would be very difficult to leave this place. The red bricks in the wall say us about the 64-year-old rich history of our campus and also the eminent personalities who passed out of this building and also reminds us of the responsibility on our shoulders to carry the image of this great college further. We engage ourselves actively in the wide spectrum of Delhi University activities and also have a vibrant student body ever busy with something or the other. Avinash is from Hyderabad and is a very cool guy. He is interested in adventure sports and was also involved in many NSS events in the past. He also plays guitar and sings songs. Mithun is from IIT Bombay and has an abnormal talent in dancing. He likes to perform western dance and tries to imitate Michael Jackson and does robot dance too.